There has been an outpouring of support for the 13 families in Longueuil — 23 adults and 15 children — who were left homeless after a fire destroyed their apartment building Saturday, killing three and injuring many others. 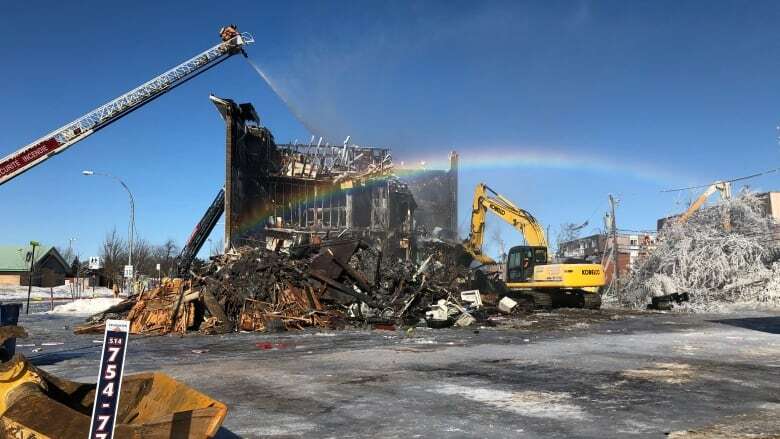 There has been an outpouring of support for the 23 adults and 15 children left homeless by a fire that destroyed their Longueuil apartment building Saturday, killing three people in one family and injuring many other tenants. Among those in need of support is an 11-year-old boy with autism. The boy's mother, father and his visually impaired grandmother all died in the fire. The boy suffered a fractured heel after falling from his third-storey apartment. Longueuil police say the boy is being cared for by social services and by surviving family members. 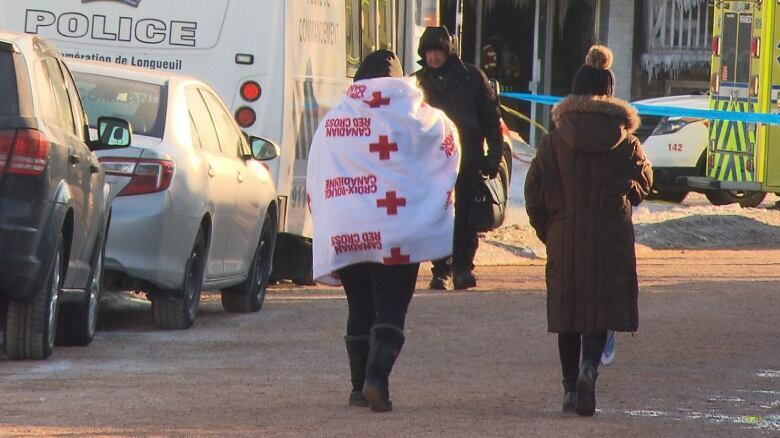 Carl Boisvert, a spokesperson for the Canadian Red Cross, told CBC that they took in 13 families following the fire, offering them temporary housing and food. "We want to make sure that everyone is safe, and all their needs are met," he said. "They are going through something very difficult." Carrefour Mousseau, a local non-profit organization, is collecting donations such as food, clothing, toys and home furnishings while the Canadian Red Cross cares for the victims. 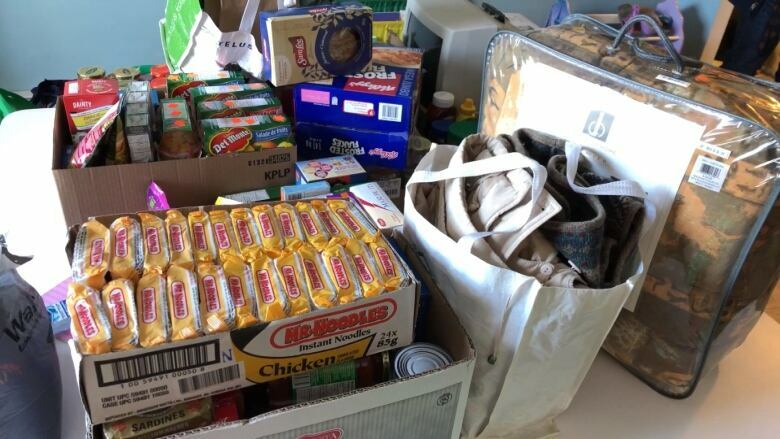 "Thank you to everyone who has already donated to Carrefour Mousseau," the organization wrote on its Facebook page Sunday evening. Citizens from Longueuil and surrounding communities have been carting in donations since news of the tragedy spread. Longueuil police spokesperson Const. 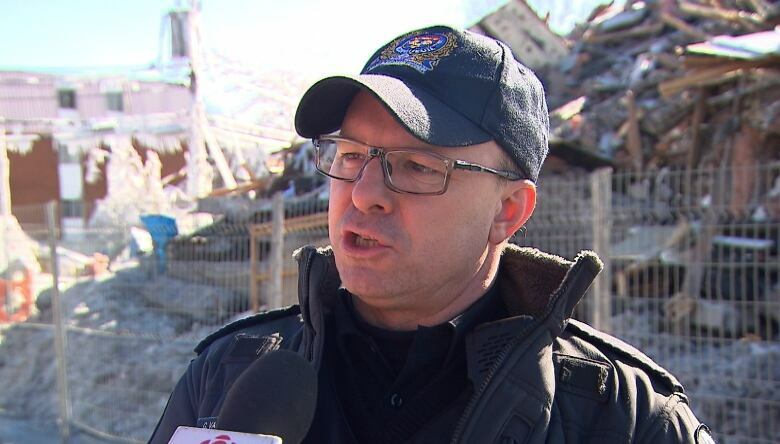 Ghyslain Vallières said the fire originated in the kitchen of a basement apartment in the multi-unit building which is located on Toulouse Street. Somebody was cooking a late-night meal. Eighty firefighters responded after the first 911 call was placed at around 1 a.m.
Apart from the three people who died, 11 others were transported to hospital with burns, smoke inhalation and fractures from jumping from the upper floors of the building. The fire became so intense that firefighters couldn't get above the second floor. Vallières said the high winds helped fuel the fire, and cold temperatures hampered efforts to extinguish the flames. Hatim Elaji, a neighbour, told CBC that on the night of the fire he was woken up by the sound of screams. He saw smoke and flames and immediately opened up his home to shelter his neighbours who were fleeing the building. "We started welcoming in the families since it was cold," he said. Elaji said he saw people rushing out of the building barefoot and not dressed for the cold weather. He said he had "the feeling that the danger was very near," and worried that the sparks would spread the fire to his own roof. The fire was brought under control by noon and then the building was demolished. Police have met with witnesses and residents as part of their investigation. 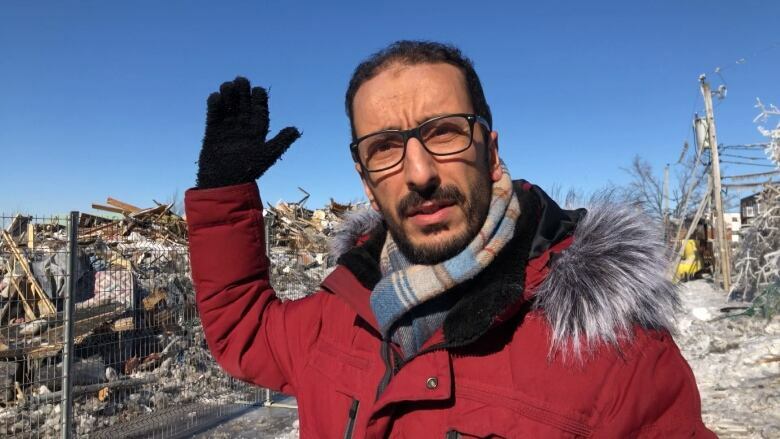 The manager of the destroyed building, Omar Guillet, who is the son of Imam Hassan Guillet, told Radio-Canada he is saddened by the events. He conveyed his condolences to the family and relatives of the victims. An earlier version of this story said the 11-year-old boy’s mother encouraged him to escape the burning building by jumping through a third-floor window. Police spokesperson Ghyslain Vallières told CBC the witness who provided that account later changed his story.